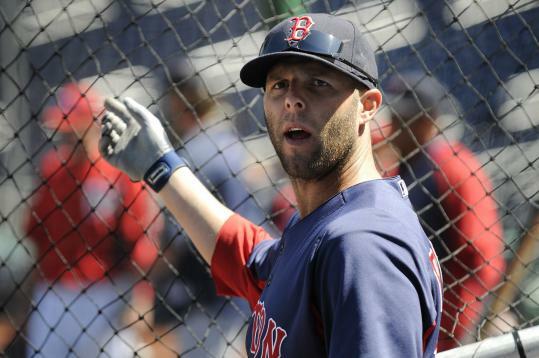 Dustin Pedroia always has been motivated by the people who never thought he’d make it because of his size. Albert Pujols recently told USA Today that every day he thinks about the fact he was a 13th-round draft pick. Mike Piazza always remembered that he was a 62d-round pick. Different things motivate different individuals. But what motivates a team? We understand that baseball isn’t like football, where emotion often takes over. There’s little of the bulletin-board material of football locker rooms floating around baseball clubhouses. When the Patriots were winning championships, they would concoct situations to psych themselves up for the next game. Usually, it had a “nobody gave us a chance’’ theme. Therefore, the Red Sox and Braves should have built-in motivation, shouldn’t they? They endured two of the worst collapses in history last season. But while the subjects were fresh early in spring training, you heard of players wanting to “turn the page.’’ They quickly became sick of talking about it. But is it good to turn the page? Or should the collapses be used as motivation, as Pedroia, Pujols, and Piazza used personal situations to motivate themselves? “It won’t be buried until the end of next September,’’ said new Sox manager Bobby Valentine. You can clearly see that last September bothered some Red Sox players more than others. Jon Lester, Josh Beckett, Jarrod Saltalamacchia, and Pedroia seem to be using it as motivation. David Ortiz also has mentioned the embarrassment, and how he never wants to experience it again. Clay Buchholz seems to be motivated more by the fact that he couldn’t help the team in September, when he was recovering from a stress fracture in his back. Daniel Bard has spoken about how poorly he pitched when it counted most. Should this subject be left alone, or do the players need a reminder every now and then of what happened? The Braves collapsed in their first season after Cox’s retirement. The Sox’ collapse cost manager Terry Francona his job. The Braves’ collapse didn’t bring about many major changes, except for the possibility that manager Fredi Gonzalez finds himself on a shorter leash. As Cox pointed out, the Braves scored only 87 runs over their final 27 games (9-18). This season, the Braves already have ace Tim Hudson and future Hall of Famer Chipper Jones on the disabled list. Both teams are in competitive divisions. The Red Sox have to show they’re better than the Rays and Yankees, while the Braves have to overcome the Phillies, Marlins, and Nationals. While the Red Sox have a potentially potent offense, the Braves have a potentially good pitching staff. Offense remains Atlanta’s problem, while pitching remains Boston’s biggest issue. Maybe players do need to tune out past failures to some degree, but at least subconsciously, there has to be motivation after such embarrassment. Wouldn’t it be amazing if Jamie Moyer pitched in the majors at 50 years old? At 49, he is the oldest starting pitcher ever on an Opening Day roster. He was told he made the Rockies on March 30, which was the 20th anniversary of his being released by the Cubs. At that time, he had been released three times in three years. Moyer’s career took off after then-Red Sox general manager Dan Duquette traded him to the Mariners for Darren Bragg July 30, 1996. Moyer had been a spot starter/long reliever for the Sox, but his last three appearances for Boston were as a starter. He spent 11 seasons with the Mariners and five with the Phillies. After the Red Sox traded him at age 33, he went 201-127 (not including Saturday night’s start). Bragg was a dirt-dog type, spending parts of three seasons in Boston, with 20 home runs, 136 RBIs, and a .741 OPS. At the time, the Sox felt they needed a center fielder, with Lee Tinsley manning the position. The Sox had three horses - Roger Clemens, Tom Gordon, and Tim Wakefield - in their rotation, and had Mike Maddux, Vaughn Eshelman, Jeff Suppan, and Nate Minchey as spot starters. Duquette probably wishes he had that trade back. Moyer was 7-1 with the Sox at the time he was traded, and had become an extremely effective starter. It’s no secret that something clicked with Moyer in those final starts in Boston, and it carried him for another 16 years and counting. 1. Terry Francona, when discussing Daniel Bard, always said, “He’s one of the best [setup men] in the game. We call on him to pitch what sometimes are the most important innings in the game.’’ And there are people who actually think Bard can’t close? I was all for Bard being a starter until Andrew Bailey went down. Now, the Red Sox’ best closer isn’t closing. 2. Bert Blyleven once told Detroit Free-Press columnist John Lowe after watching Justin Verlander, “That’s the best curveball I’ve seen in a long time.’’ High praise from a guy who might have had the best. 3. Twelve of Thursday’s 14 starting pitchers allowed two runs or fewer. Guess the pitchers are ahead of the hitters. Or at least the good pitchers are ahead of the hitters. 5. Bob Nightengale’s fine work in USA Today included that baseball’s average salary went up 4 percent to $3.45 million and that by 2013, 19 players will earn at least $20 million per season. The Yankees, who have their lowest payroll since 2007 (197.9 million), will lead in payroll for the 14th straight season. 6. Red Sox owner John Henry didn’t seem to think there would be a lot of development around JetBlue Park in Fort Myers, although you may see a new hotel shortly. There are many anxious workers wondering what will happen over the summer. Many have no idea if they will be hired back to work events, if there are any events there. 8. Teams that will be better than they are on paper to start the season: Red Sox, Indians, Mariners, White Sox, and Rockies. 9. Just as the Tigers are bracing themselves for Miguel Cabrera at third base, the Angels are doing the same for Mark Trumbo. He made four errors in spring training and looked uncomfortable. The Angels would love for Trumbo to improve so they can keep his power bat in the lineup. 10. One of the big differences between the Rangers and Angels the past two seasons, which the Angels feel they have rectified with the signing of Albert Pujols and the return of Kendrys Morales, is that they outscored opponents by a total of just 13 runs (plus-34 in 2011, minus-21 in 2010). The Rangers outscored opponents by 278 runs over the last two seasons. 11. Quick, name three Astros. 12. Quick, name three Padres. 1. Bobby Cox, Braves adviser - When asked whether he would consider managing again, Cox didn’t give a resounding no. “I don’t know. I don’t know. I’m done,’’ he said. But he added, “I miss it. I miss it every day.’’ While Cox has deep ties to new Dodgers president Stan Kasten, he said he would not consider ever going back to being a GM. “If I ever came back to the game, it would be in uniform,’’ said Cox, who is signed to be an adviser through the 2015 season. 2. Alfredo Despaigne, OF, Cuba - Despaigne broke Yoenis Cespedes’s Cuban season home run record on Tuesday when he hit two to reach 35 in 85 games. Cespedes hit 33 in 90 games in the 2010-11 season with Granma to break Despaigne’s mark of 32 the previous year for the same team. Despaigne is more of a hitter than a defender, and likely won’t demand the four-year, $36 million salary Cespedes received from the A’s. 3. Johan Santana, LHP, Mets - It wasn’t the Santana of old, but Santana post shoulder surgery was decent in the Mets’ opener. His velocity is down by some 5-8 miles per hour to 87-88, but the key is his changeup, which he throws from the same arm speed at 10 m.p.h. slower. Will the league catch up to Santana eventually? Scouts think yes, but on Opening Day the Braves couldn’t touch him over five shutout innings. 4. Mark Melancon, RHP, Red Sox - The one thing scouts have noticed about him from last season with the Astros is he’s throwing more cut fastballs to make up for the fact he hasn’t had a good curveball to this point. Secondary pitches are usually the last things to come along (unless you’re Justin Verlander), but the feeling is Melancon has to keep throwing his curve to get it to where it was last season, when he saved 20 games for a 106-loss team. 5. John Lannan, LHP, Nationals - After weeks of speculation that Lannan would be traded, he wasn’t. And when the Nationals couldn’t move him after they decided Ross Detwiler had moved past him, Lannan was demoted to Triple A. That’s when Lannan demanded a trade. Lannan is only 27 and could fit on many staffs as a fourth or fifth starter. The Red Sox were one team that explored the possibility, but came to the conclusion, as did others, that what they had was every bit as good as Lannan, and they were reluctant to give up a top prospect. So Lannan remains in limbo, but as injuries mount his request may be heard. The only downer is that he makes $5 million, which at this time of year, with many budgets already set, could be a tough sell. Also, injured Nationals starter Chien-Ming Wang is due back at the end of the month. 6. Johnny Damon, OF/DH, free agent - Any time we mention that Damon remains a free agent, baseball people shake their heads. “That one,’’ said one American League GM, “is a mystery. Tampa Bay, Cleveland, Baltimore, Detroit can’t use Damon?’’ The Indians, who have Grady Sizemore out until at least June 3, have outfield/offense issues. They opened up the left field job to as many as 10 candidates, and the winner was Shelley Duncan. In their 16-inning loss to the Blue Jays on Opening Day, the Indians hit .100 (4 for 40) over the last 14 innings. 7. Roy Oswalt, RHP, free agent - Oswalt remains the top dog on our All-Free Agent Team. The lineup: Damon CF, Hideki Matsui DH, Vladimir Guerrero LF, Magglio Ordonez RF, Pudge Rodriguez C, Derrek Lee 1B, Aaron Miles 2B, Felipe Lopez SS, Casey Blake 3B. SP - Oswalt and Javier Vasquez (who has not officially retired). Bullpen - Mike Gonzalez, Arthur Rhodes. 8. Ian Kinsler, 2B, Rangers - ’Tis the season for contract second extensions. Kinsler, 29, should average $13-$14 million over five or six years once his deal is done, according to major league sources. He and the Rangers couldn’t come to terms by Opening Day, but it’s not out of the question that something gets done during the season. Cincinnati’s Brandon Phillips should be in the Dan Uggla, five-year, $60 million area when his deal is done. Kinsler could be the closest to Chase Utley’s seven-year, $85 million deal, which the Phillies might be regretting. Then we come to Dustin Pedroia. His six-year, $40.5 million deal will wind up being a major bargain since it goes through 2014 with an $11 million option in 2015. 9. Mark Prior, RHP, free agent - Prior’s throwing sessions have looked decent, according to major league sources, and he may soon be getting ready to throw for teams. One of the biggest bonus babies ever, Prior has had an injury-filled career, and got hurt again last year in the minors with the Yankees. He had groin surgery, then had trouble gaining strength in his lower half, but he appears to be making progress again. From the Bill Chuck files: “You need to look up Loek Van Mil of the Salt Lake Bees, the Triple A affiliate of the Angels. And I mean ‘look up.’ Van Mil is 7-1, the tallest pitcher in baseball.’’ Also, “Last season, the only hitter who qualified for a batting title who had an OBP below .250 was Vernon Wells (.248). Even Adam Dunn (who did not qualify) had a .292 OBP.’’ And, “Did you know that Adrian Gonzalez (.338), Jacoby Ellsbury (.321), and David Ortiz (.309) had the highest batting averages for lefties in 2011? Only seven lefties hit over .300.’’ . . . Happy 30th birthday, Kason Gabbard.